Nestled in the foothills of the Alps, in the region of Italy known as the Piedmont: a region of Italy that Italians often regard as a prime destination for the best in food and wine. A 12th century town with 21st century amenities, Alba is conveniently located in the center of a triangle whose points are Turin, Milan, and Genoa. Famous for its nearly 300 wineries and thriving white truffle industry, Alba is also home to the world headquarters of Ferrero Chocolates. No discussion about Alba can be had without mention of the food. The region is known for its cuisine and is also a major center of the slow-food, "farm to table" movement. Focusing on only what is local, and fresh, dining in Alba is a particularly rich and rewarding experience. 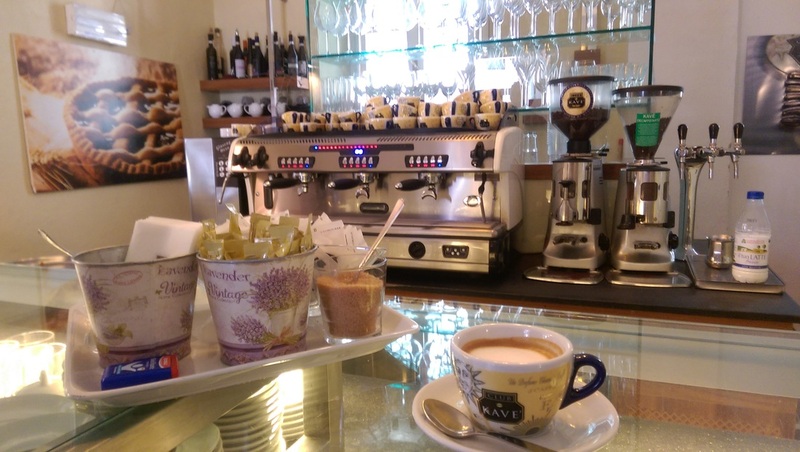 In addition to daily lunch offerings at the Citta Cafeteria Mazetti Alba, all participants will be able to dine for lunch or dinner in one of over a half-dozen restaurants in the old center, such as the Osteria Nuova, Vin Café, and the Pizzeria La Duchessa. Drinking wine in Alba is a real pleasure. Alba, and the surrounding region of the Langhe, is highly prized for wine production. Ranging from bold, dry reds, to crisp whites and refreshing sparkling prosecco spumantes, one can almost never have a bad glass, or bottle, when in Alba. In fact, the region is so highly regarded for wine that UNESCO gave it a World Heritage designation in 2014. Among the best-known wines from the region are Barolo and Barbaresco, and other popular grapes used for red wine production are Barbera and Dolcetto. The region's white wines include sparking whites such as the spumante, made famous from the nearby town of Asti. This wine is made from the Moscato grape. a typical breakfast: cappuccino, brioche, and fresh orange juice.